A few years ago, I dropped my brand new iPhone 6 Plus a day after I bought it. As a grown man, I wanted to cry. Then get angry. Then I wanted to cry again. I learned a lesson that day: protecting what you value is not a bad thing! I now protect my computer with a case, my camera with a lens cover, our home with locks, biblical artifacts with bubble wrap, and my bank account with a password. It’s odd but sometimes we talk about sheltering or protecting our kids as if that is a bad thing. While I grew up in a Christian home, I wasn’t exactly overprotected. In fact, as I think back to some of my friendships, relationships, neighborhood experiences, and influences growing up, I wish I had been more sheltered! As a parent, this is why I am proud to be protective. No shame. Zero. I freely admit I shelter my kids. Not from everything of course, but from a lot of things – especially foolish friends. Give our kids a vision of Godly friendship – Our kids don’t come into the world with a picture of what Christ-like friendships should look like. The Bible is full of examples of true friendship. A study in the book of Proverbs is a great way to give our kids a vision for choosing wise friends – friends that bring a blessing, instead of bringing suffering. We can’t protect our kids from every foolish friend, but we can prepare our kids to choose the right kind of friends. We give our kids a vision of Godly friendship by our own friendships as well. In an increasingly disconnected society, our kids need to see healthy, loving, committed, sacrificial, and God-honoring friendships modeled before their eyes. Cut something out of our schedule so we can spend more time together as a family – With so many opportunities in sports, music, the arts, and academics, family time can get squeezed to the perimeter. The pressure many families feel to be involved in so many activities is real. Regardless of how you resolve that as a family, the truth is, children that are overly involved in activities spend far more time with their peers than they do their parents. The training, instruction, love, and direction parents are called to supply their kids with can be spent elsewhere. 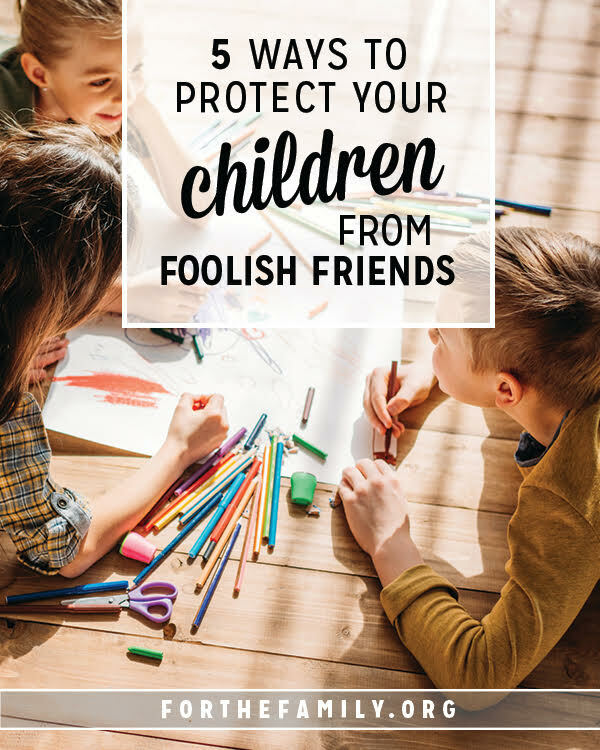 Protecting our child from foolish friends can be cultivated by spending more time together as a family. We cut unnecessary activities out of our schedule so that we can make the most of our time together before releasing our children into the world as adults. Say no to certain friends – Saying no to certain friends can be difficult, but in many cases, it can be the best choice in the long run for our children. 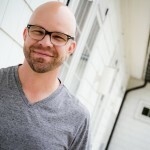 This might look like protecting our kids from spending the night at someone’s house we don’t know or trust very well, declining an invitation to play inside of a neighbor’s house we are not familiar with, limiting time with friends who don’t share similar values, beliefs, and convictions. While we want to encourage our kids to be a light, there is an appropriate time and age for this to happen. Our children’s hearts, beliefs, attitudes, and behaviors are incredibly impressionable, especially the younger they are. Like wet cement, the influence of the wrong kind of friends, can lave their mark for years to come. Don’t be afraid to say no! Partner with the parents of your child’s friends – Partnering with the parents of our child’s friends is a great way to work together as a team. As a family, connected to a larger family (the church), we should have an attitude of working together to raise kid who trust and live for Jesus. Don’t be afraid to communicate values and expectations when your child is outside your care or spending the night at a friend’s house. When we do, we are working together to protect one another’s kids from foolish friendships and influences. Create a space or home where your children’s friends want to hang out – Sometimes the pushback of being protective comes from a sincere concern about reaching out to others. As a family, we are committed to reaching out to friends and neighbors who don’t yet know Christ. But as much as we can, we want to do this on our terms and not someone else’s turf. So while we might be extra cautious about allowing our kids to go somewhere or with someone we don’t know too well, we like to open our home to others to show the love of Christ as a family. This may require more of our attention and presence; it is a great way for a family to be the ones doing the influencing. So don’t be afraid of a being a protective parent! God has entrusted us with children to love, protect, teach, and some day release into the world. Learning to protect them from foolish friends can be one of the greatest gifts we give them! As a Christian mother, I do have to say how unbelievably grateful I am — to tears grateful — for the sweet, precious, godly high school friends who have endeavored to maintain a healthy relationship with my VERY straying, confused, in-the-wrong, on-the-wrong path son. They haven’t abandoned him to the bad friends. They’ve said gentle things. They’ve continued to invite him to get-togethers, be friendly to him, care for him. I know he isn’t their closest friend. It’s hard to be completely close to someone who struggles as he does. But daily I’m grateful he has a group of friends I can trust, kids with whom I can say “yes” when he wants to go with them. Don’t underestimate the power of a child’s influence on others. I know it goes both ways. I do know that. But … I’m so grateful to those parents of those friends who KNOW my son is not on the right path, yet continue to prayerfully and in deep faith encourage the friendships to continue. They are his safe place. They are those he will turn to when he is in need. They have not left him. Thank you so much, dear parents, who have the inner strength and trust in God to be this way. I used to play a game with my toddlers while cooking or washing dishes. I called it the What If game. I would make up a “What If ” scenario and thy would respond. For instance, what if your friends planned to play on the railroad tracks? We would have a discussion on ways to discourage the plan or at best how to diplomaticly get out of joining in their plan. As the years went by they often told me how this saved them from awkward or even dangerous situations.